"Gender" will change with the Change of Education. 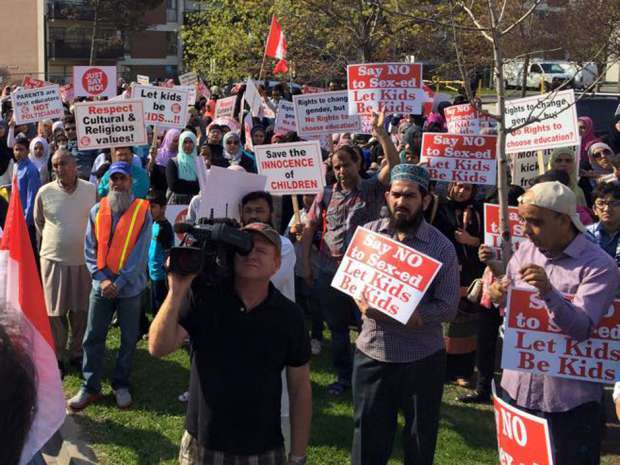 Thorncliffe Park Parents' Protest in 2015. Campaign Life Coalition is raising the alarm that parental rights are under new attack, this time by school boards defending "transgenderism" and gender confusion in students of any age behind their parents’ back. But Peter Rubenschuh, assistant superintendent for equity for Waterloo Region District School Board, said his board’s procedure is about safety and honouring a child’s choice. This is against our personal, human and religious rights which are protected by Canadian Constitution and assured to us at the time taking the oath of citizenship.This should be immediately removed.